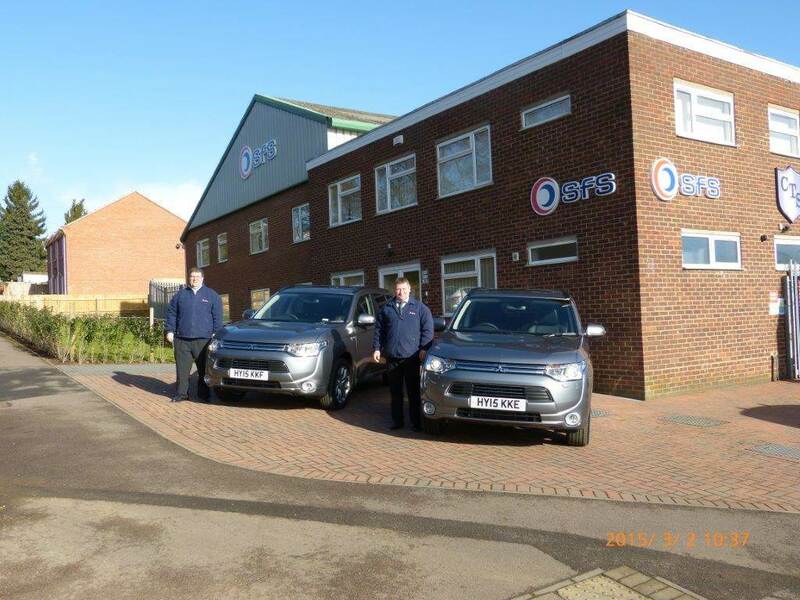 Northampton-based contract hire and fleet management provider, Specialist Fleet Services Ltd (SFS) is reducing its emissions and improving its environmental performance with the addition of two hybrid vehicles to its customer support fleet. The Mitsubishi Outlander PHEV cars use twin electric motors and highly efficient 2.0 litre petrol engines offering superior fuel efficiency and a combined range of 510 miles. There are three driving modes to choose from. The Electric Power or EV mode is perfect for driving in built-up areas and for shorter journeys with a battery that can take the car up to 32 miles without producing any exhaust emissions. In Series Hybrid Mode the petrol engine acts as a generator supplying electricity to the battery, which in turn power the motors and delivers a highly efficient use of fuel. For higher speeds and motorway driving the petrol engine provides most of the power in Parallel Hybrid Mode. As an additional benefit there’s no congestion charge to pay for driving in central London and with emissions of just 44g/km the vehicles are completely exempt from Road Tax.